How do I edit an assessment in Quizzes.Next? 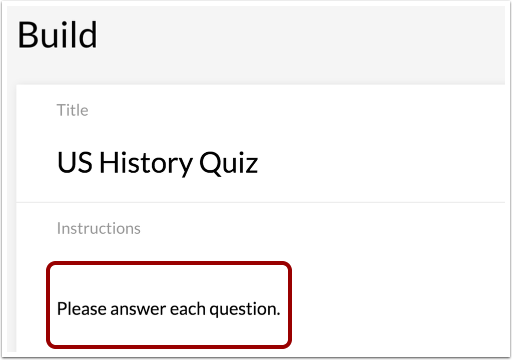 After you have created an assessment, you can edit the assessment in Quizzes.Next. This lessons shows how to edit the title, instructions, and individual questions in an assessment. You can also manage delivery settings in Quizzes.Next. 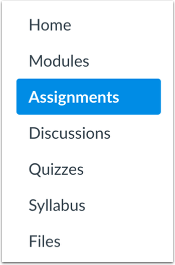 To edit the point total, assignment group, due date, availability dates, and individual students and course sections who will receive the assessment, you need to edit the assessment from the Assignments Page in Canvas. To edit the title of the assessment, click the Title field. Then enter the new assessment title. To edit the instructions of the assessment, click the Instructions field. Use the Rich Content Editor to enter your instructions . Assessment instructions can include images , media , and links . 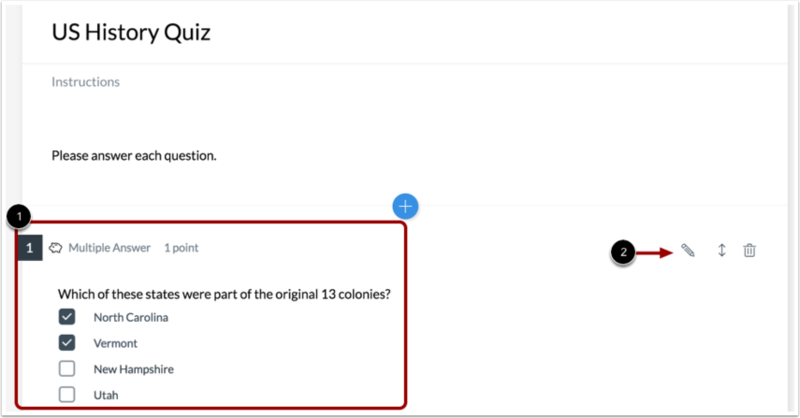 To edit a question, locate the question you want to edit . Then click the Edit icon . If the question you want to edit has been added to an item bank, a warning message will display on the page . You will only be able to edit some options and point values in the question . To edit the question in the item bank, click the Edit in Bank button . Previous Topic:How do I reorder questions in an assessment using Quizzes.Next? 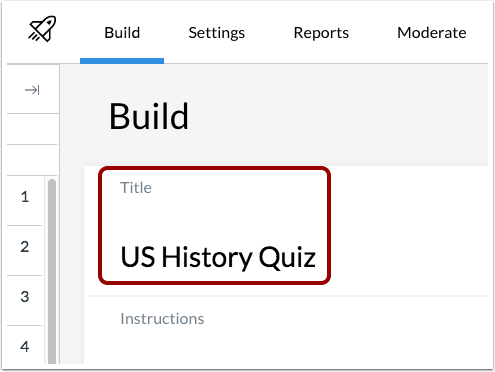 Next Topic:How do I use the Rich Content Editor in Quizzes.Next? Table of Contents > Quizzes.Next > How do I edit an assessment in Quizzes.Next?